Dot Replinger would have been 95 years old today. She lived happily in her house until three days before her death last May, after a short illness. 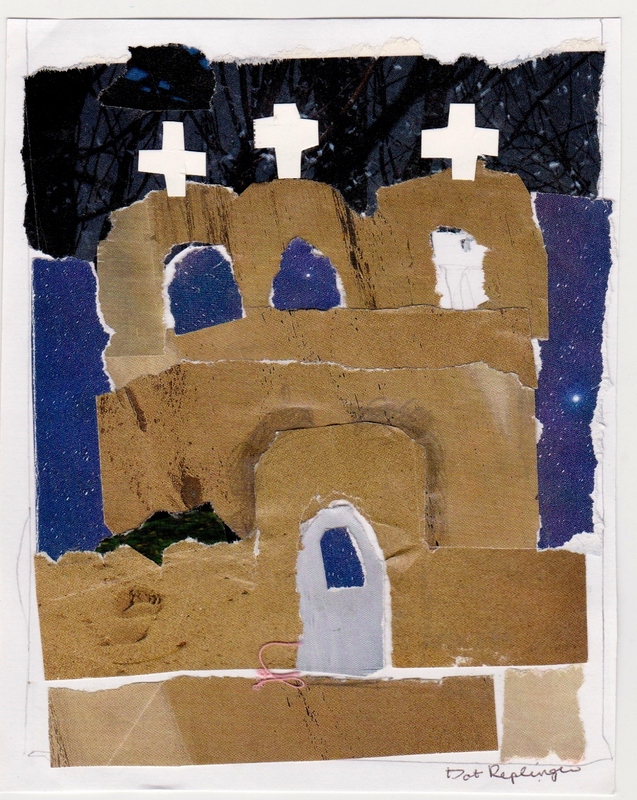 She left behind a large body of art work, notably her works in fiber. 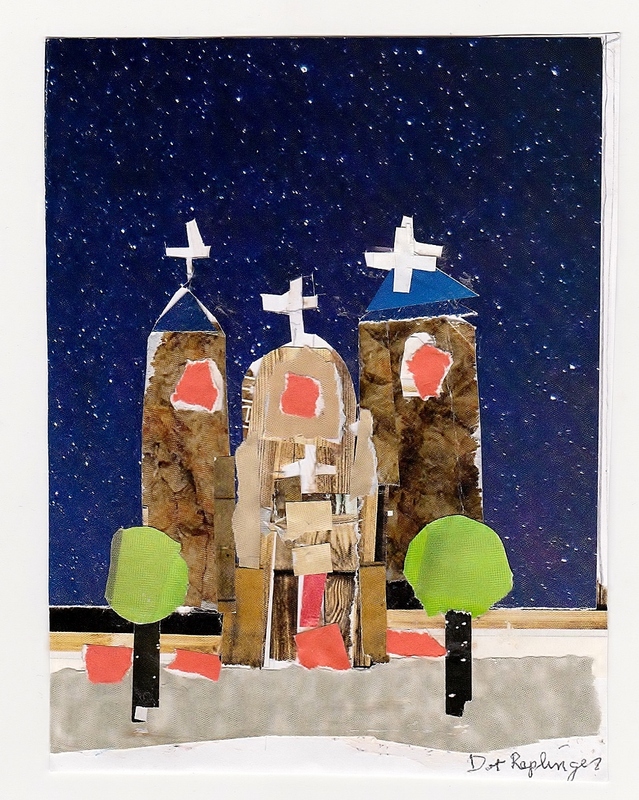 One her favorite pieces, Olive Angel, will later this year be on view at the Krannert Art Museum at the University of Illinois. 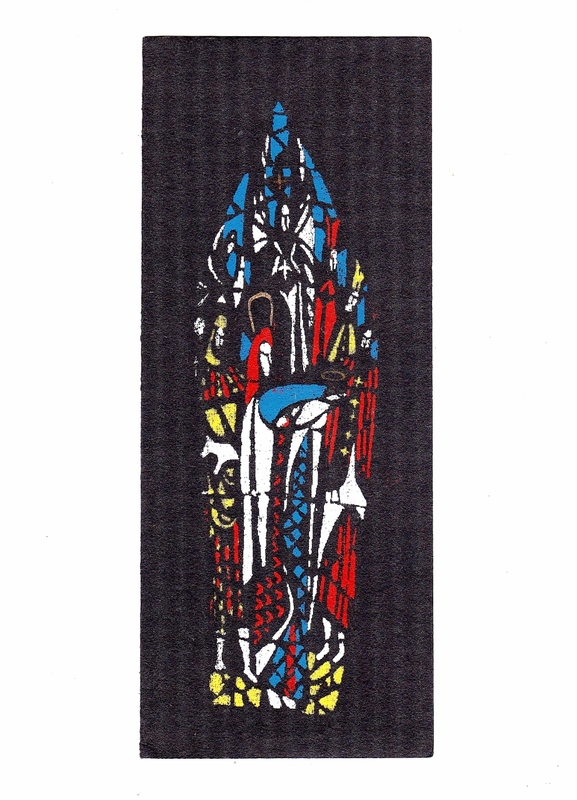 Olive Angel, fiber, c 1975. Dot Replinger and her sheepdog Victoria, 1970s. These are the last four cards that Dot sent out. 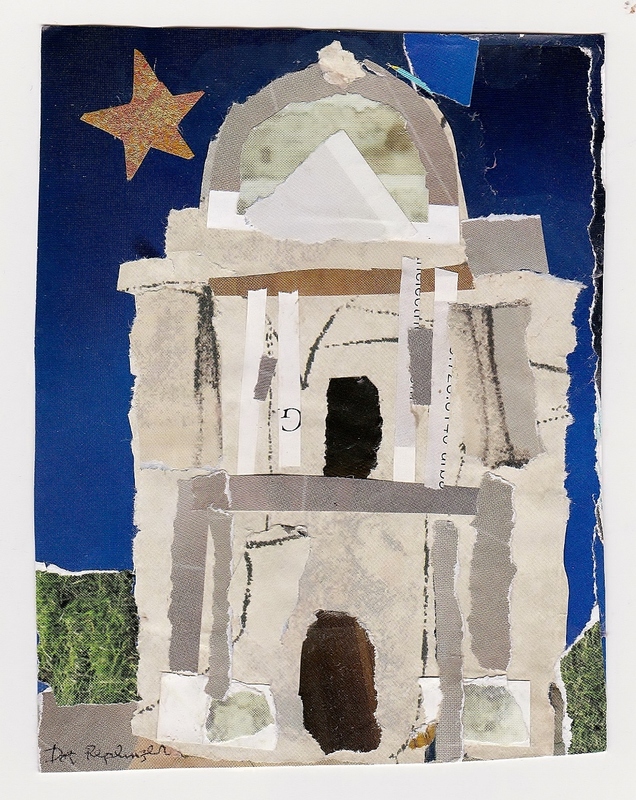 Like Matisse, Mom moved toward collage in her later years. Technology in the form of color photocopying helped here, of course. 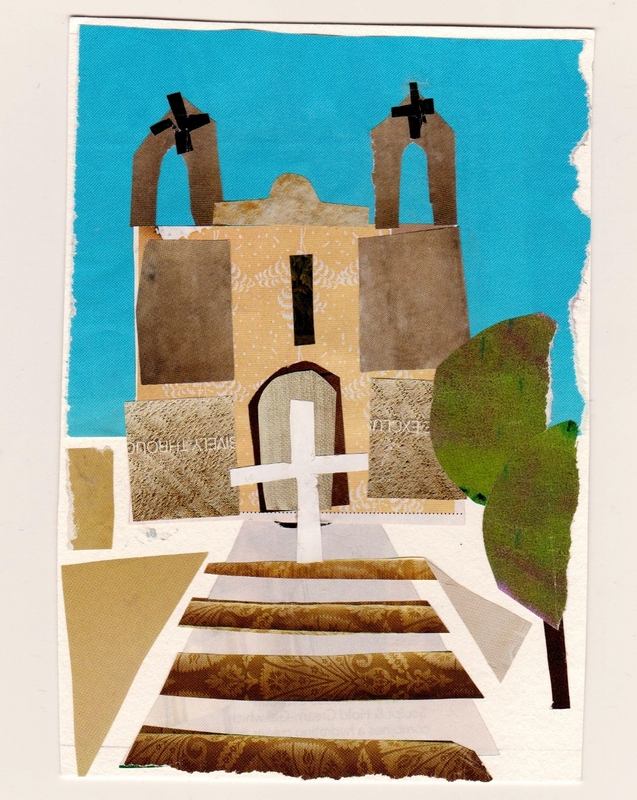 Surely, the famous San Francisco de Asis Mission Church near Taos, New Mexico, which Dot had visited several times and as recently as October 2008, with her friends the Aronsons, was part of her inspiration. 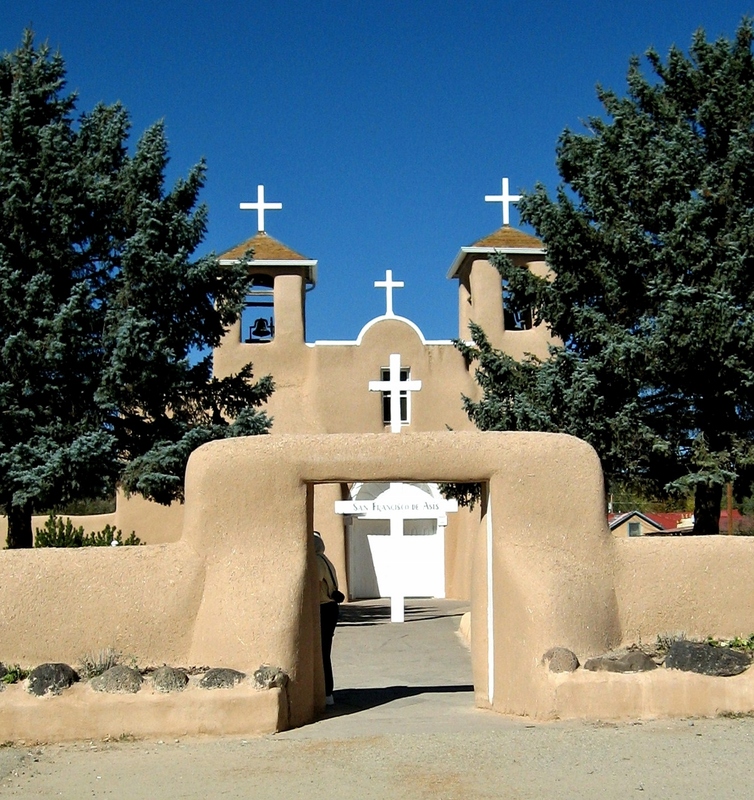 San Francisco de Asis Mission Church, Rancho de Taos, New Mexico. Photo by Dot Replinger, October 2008. Two changes happened during these years. 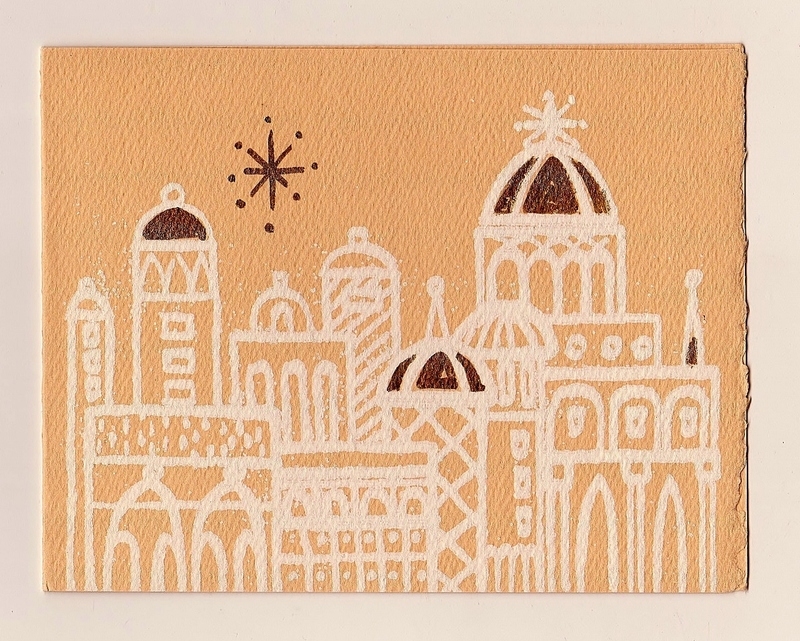 First, Dot used just a single color in her designs. 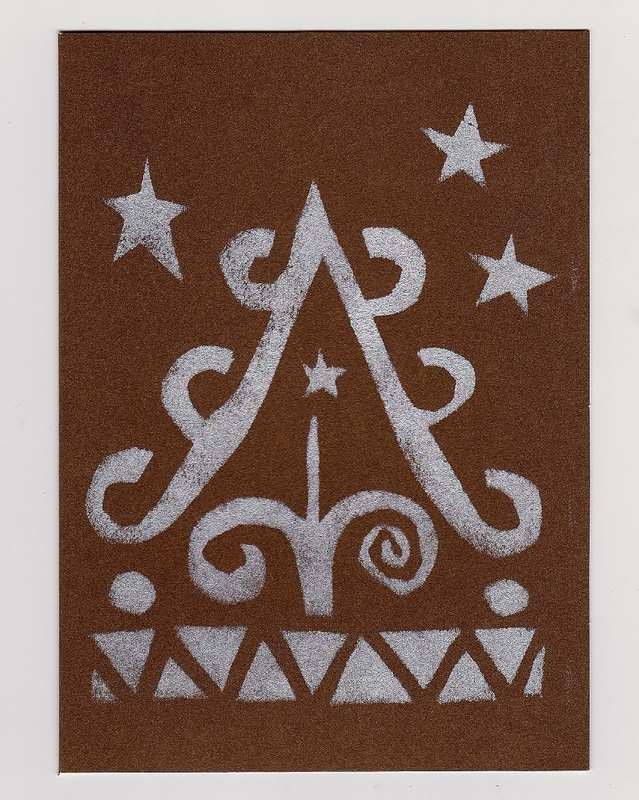 Second, Jack took over for several years as the card designer and maker. 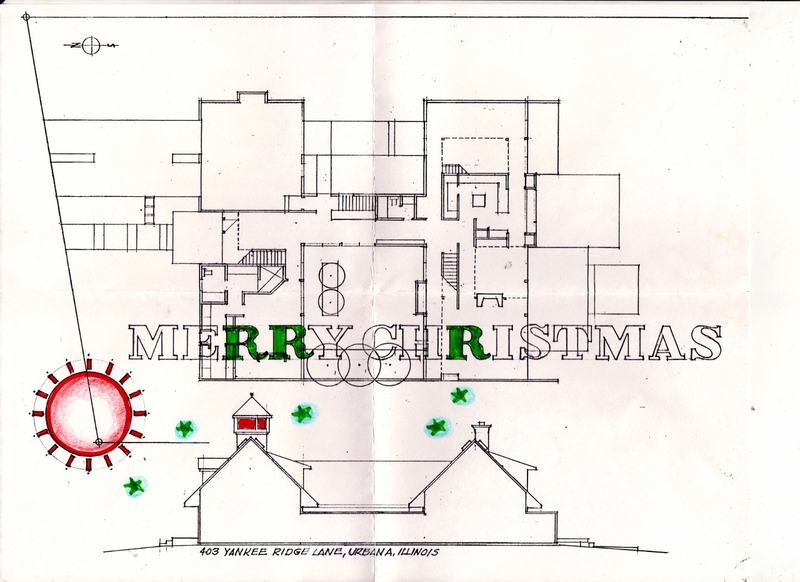 His cards show the house he designed for themselves, which they moved to in 1993. 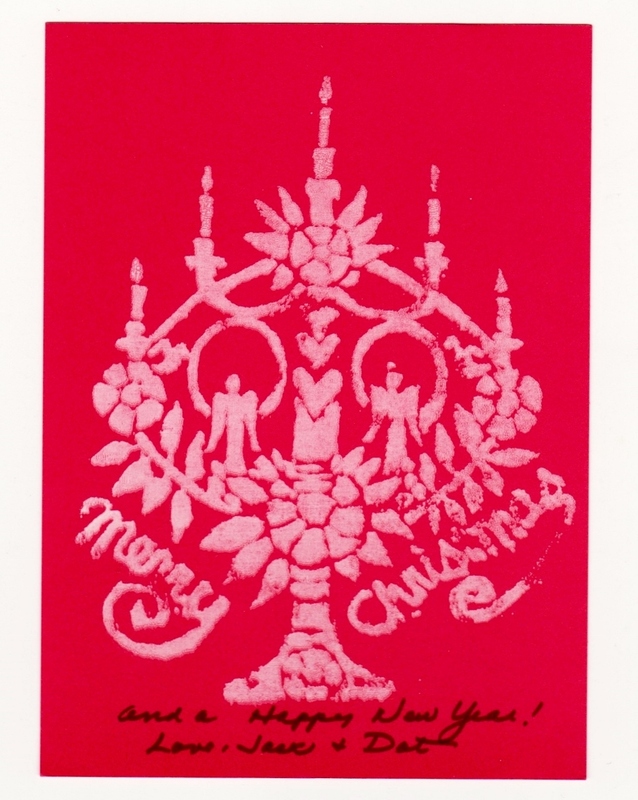 Silkscreen print and pen, c 1980s. 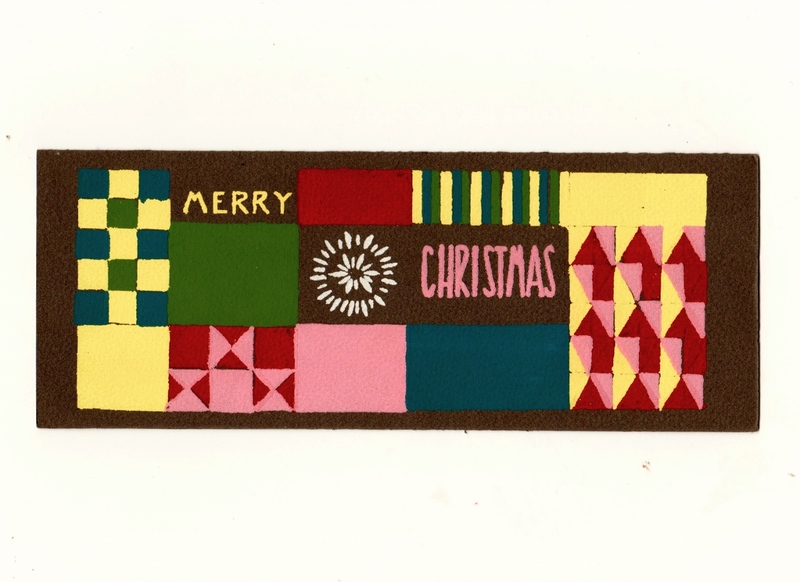 Peace on Earth, as denoted by doves, seemed to be a theme in the 1970s. Harold Young, like my father Jack Replinger, was a professor on the faculty of the University of Illinois School of Architecture. Jack and Dot counted him among their best friends. 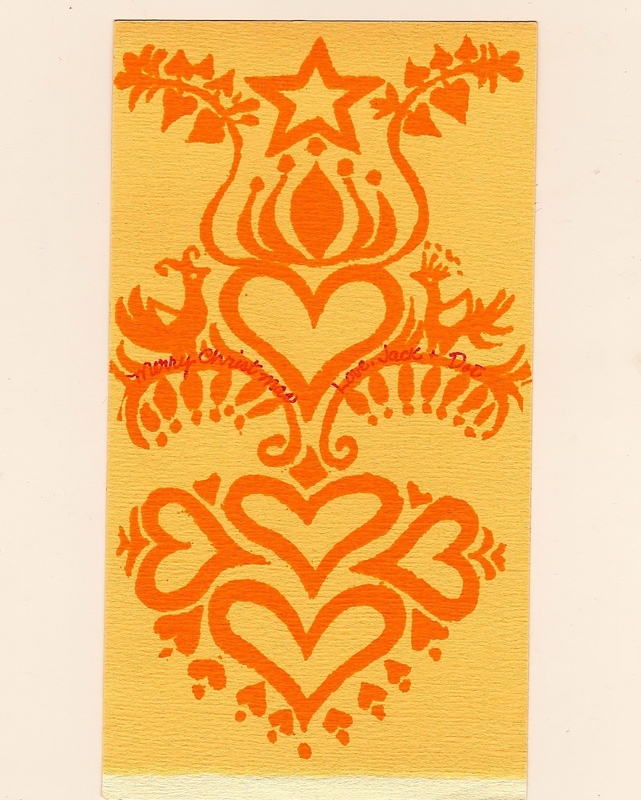 Harold designed and printed these wonderful silkscreen cards in the 1950s. I imagine that he and Dot inspired one another each Christmas season. Harold Young, silkscreen print, 1955. 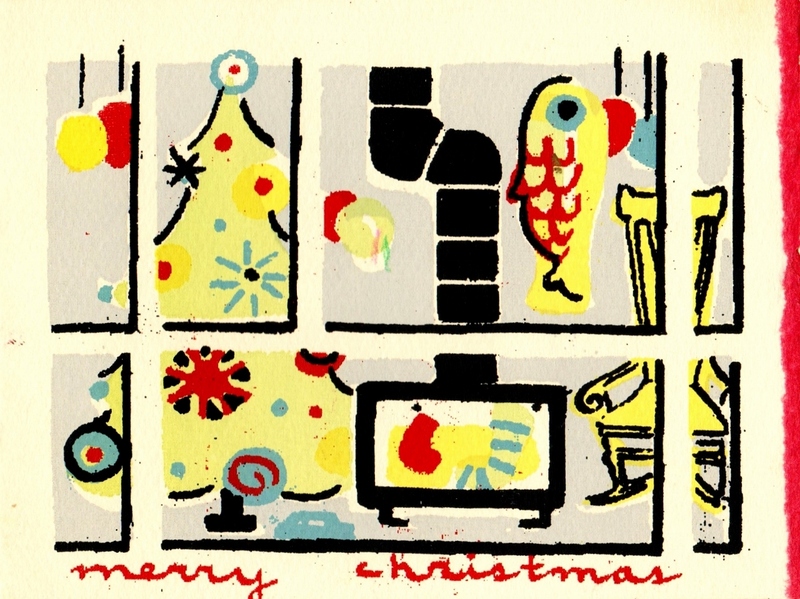 Harold Young, silkscreen print, 1956. 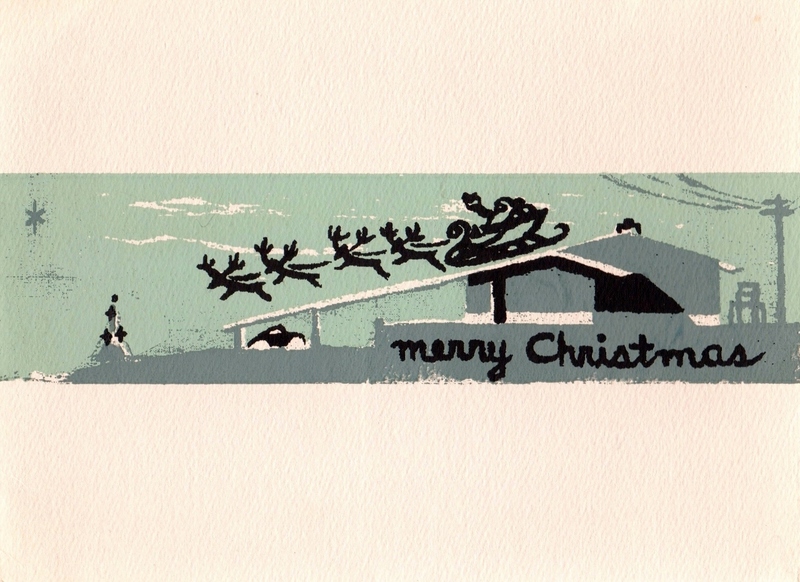 Harold Young, silkscreen print, 1957. 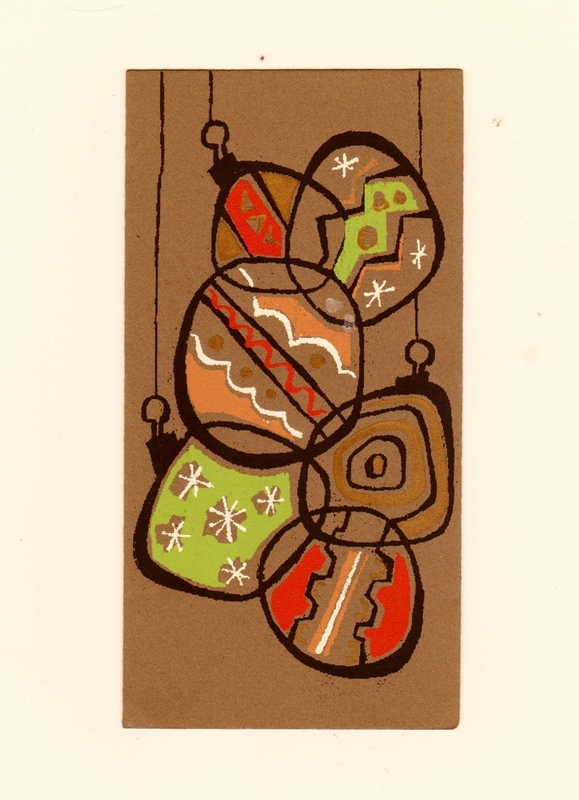 Harold Young, silkscreen print, probably 1958. 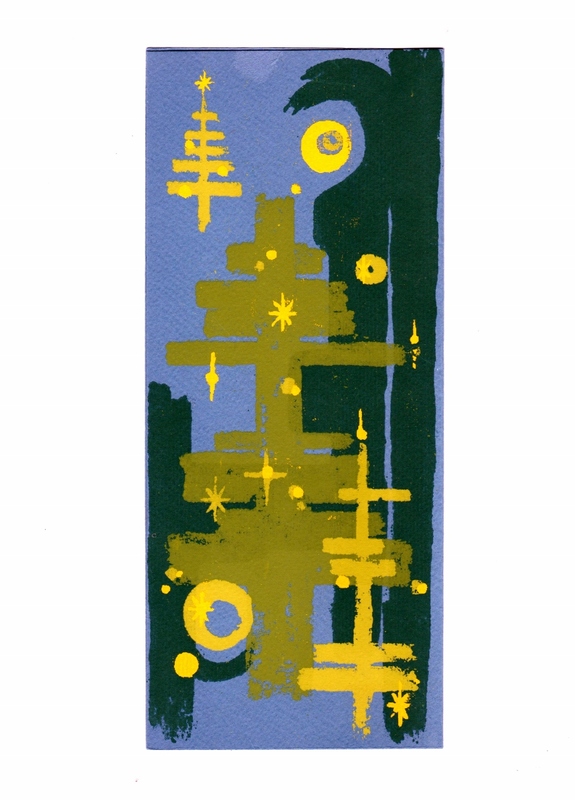 Harold Young, silkscreen print, 1959. 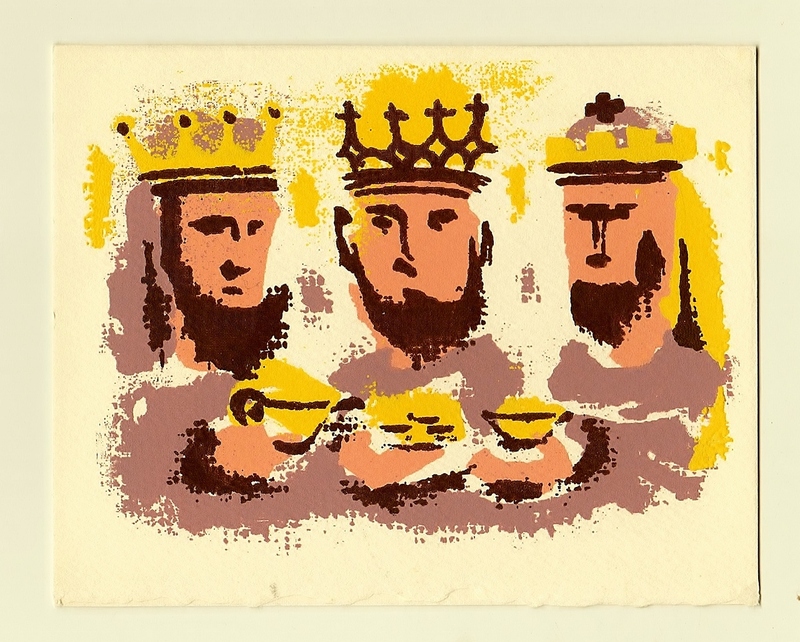 Kings and Bethlehem, 1950s silkscreen prints. 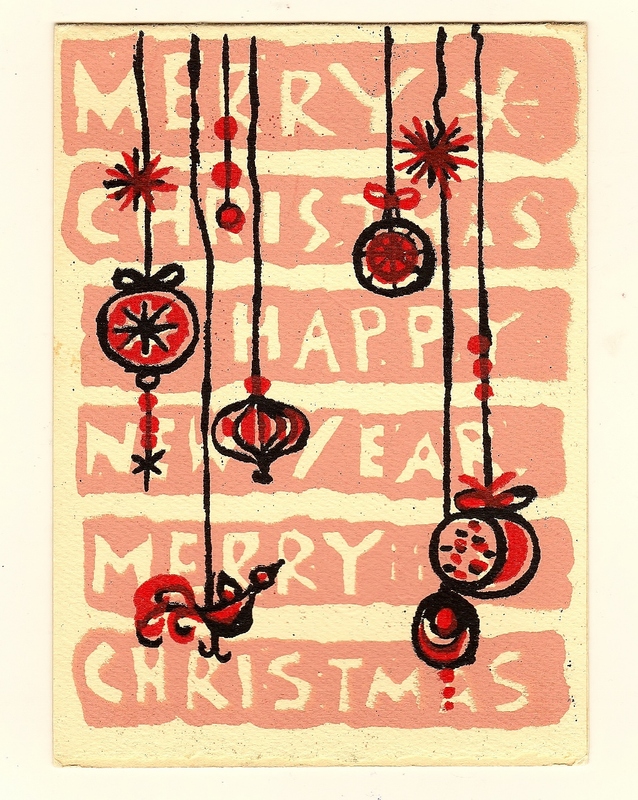 These two cards, both silkscreen prints, are from 1955 or later, after the last of Jack and Dot’s sons was born. 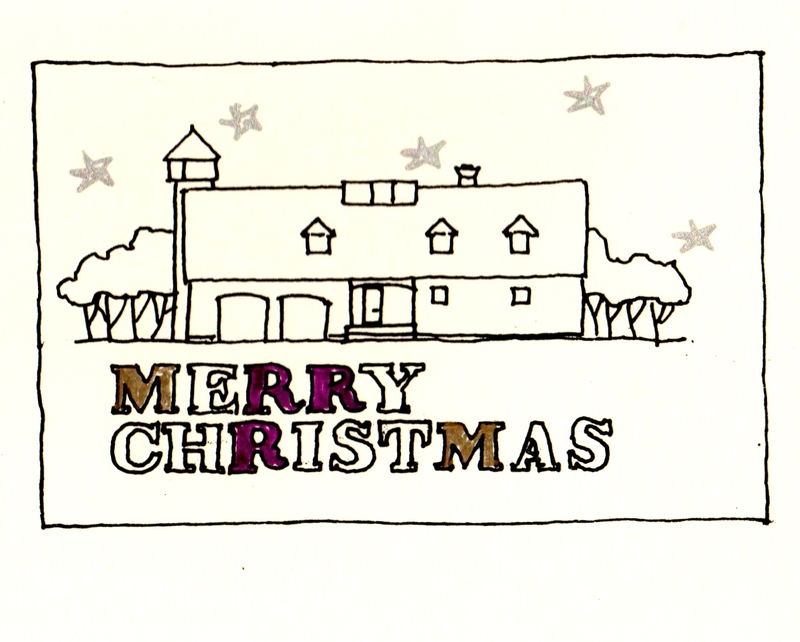 The first card shows Santa making an easy takeoff from the sloped roof of their house on Burnett Circle. 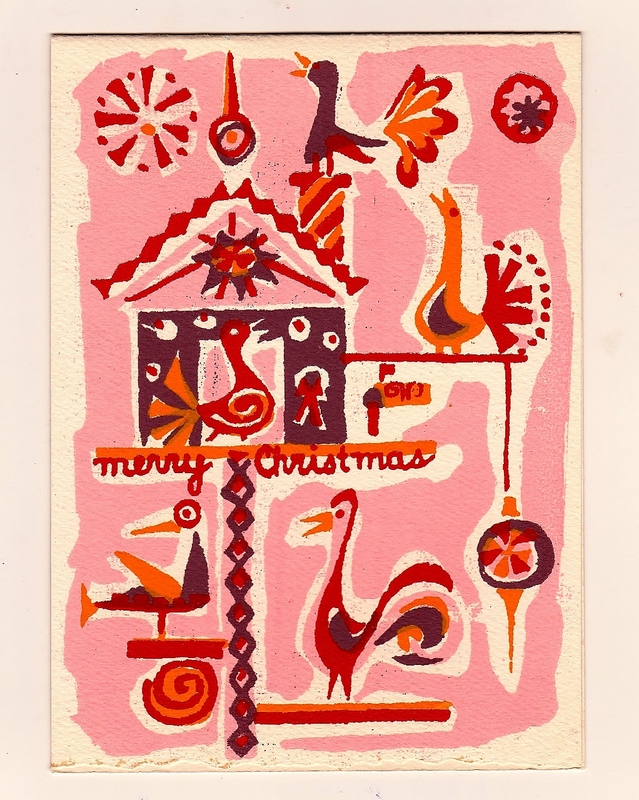 This five-color silkscreen card is from 1953 or 1954 because a handwritten inside closing includes “Johnny and Bobby.” The fireplace form is from Mom and Dad’s house on Burnett Circle, which they moved to in 1953. 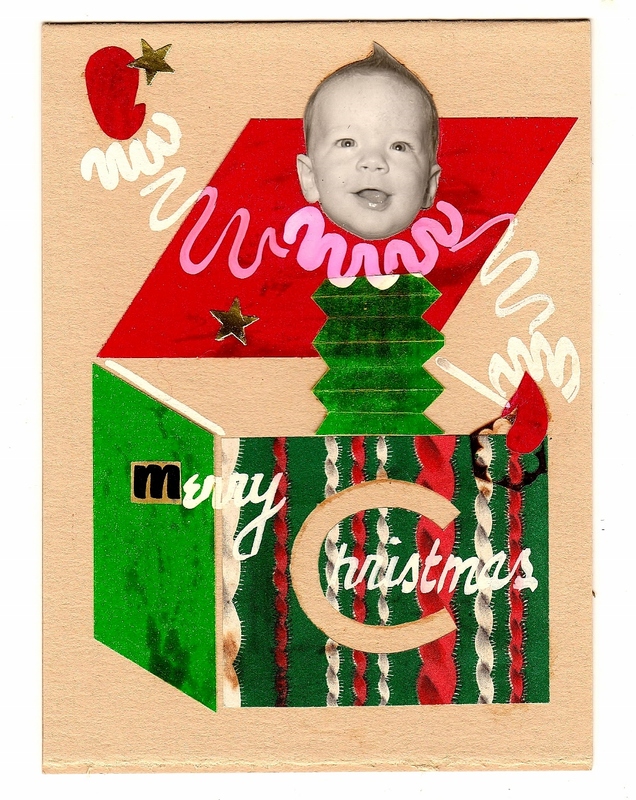 The first card is a one-off collage from 1951, celebrating the first Christmas of the newborn son, my older brother John. 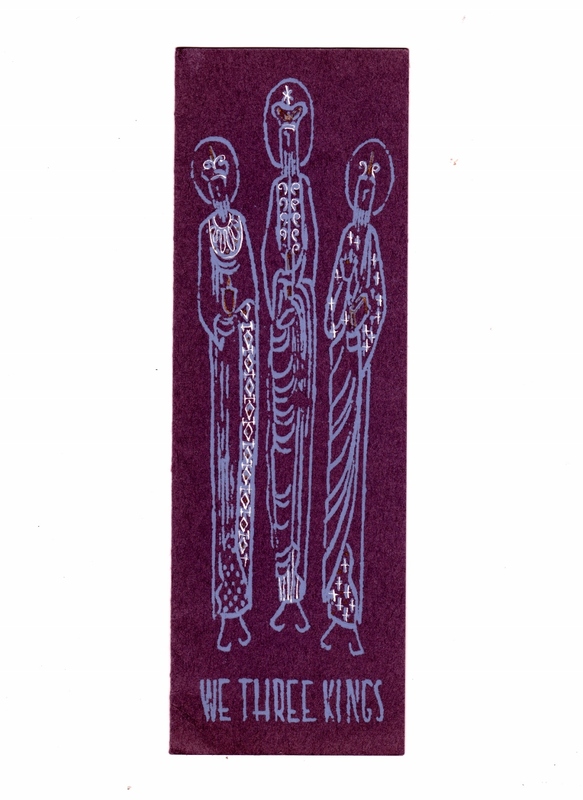 The second card is a silkscreen print, probably from the 1950s.